If you’re in tune with the latest and greatest apps, then you’ve probably heard of Secret, an anonymous public message syndication app with the slogan “Speak Freely.” Well that’s exactly what the people are doing. 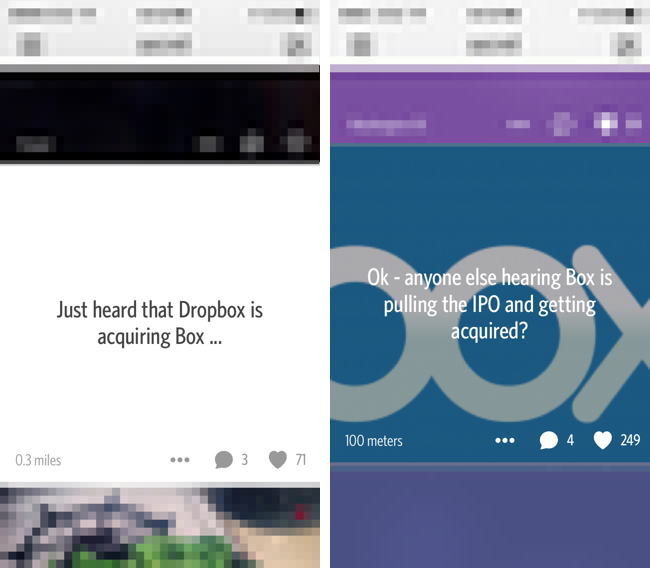 Over the past few weeks, multiple news stories broke on Secret before news outlets covered them. Rightly so as journalists are expected to practice due diligence and may be under an embargo barring premature release of information. Tonight’s story? Dropbox acquiring Box. I don’t know if this is actually happening, but I think it adds a very interesting dynamic to the anonymous publishing broadcast medium.